Richard A. Mobley and Edward J. Marolda, Knowing the Enemy: Naval Intelligence in Southeast Asia. Naval History and Heritage Command, 2016, 102 pp. 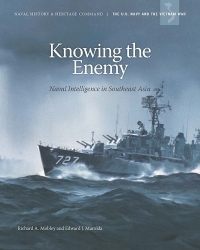 Knowing the Enemy: Naval Intelligence in Asia by Richard A. Mobley and Edward J. Marolda is the seventh book in the Naval History and Heritage Command’s The U.S. Navy and the Vietnam War series, and addresses the role of U.S. Navy intelligence in the Vietnam War. It serves as useful reference for both students of the Vietnam War and Navy intelligence, illuminating both the drastic technological changes that have taken place over the last 50 years, as well as the unchanging nature of core intelligence principles. Determining what information commanders need, and figuring out how to get them that finished intelligence at the right time and in the right format remains the essence of how to do intelligence right. During Vietnam the Navy experimented both with methods where imagery collected during airborne reconnaissance missions was exploited onboard the carrier in the IOIC, as well as what is now called “reachback,” with analysts at the Fleet Intelligence Center Pacific Facility (FICPAC) in Hawaii exploiting imagery during Operation Rolling Thunder early in the war, or at the Fleet Intelligence Center Pacific Facility (FICPACFAC) at Cubi Point in the Philippines later during the bombing of North Vietnam during 1972’s Operation Linebacker. Teams of FICPACFAC imagery analysts “operated around the clock processing raw intelligence photography, interpreting it, and using it to prepare targeting lists” during Linebacker. Navy support to targeting efforts during Linebacker played a vital role to operations such as the air campaign that stopped North Vietnam’s conventional invasion of the South, and the mining of Haiphong Harbor. Unlike today, however, when reachback is enabled by robust wireless and satellite communications, the state of technology at that time meant that unexploited imagery had to be physically couriered from the various sites afloat and ashore in Southeast Asia to Hawaii and back, demonstrating the old intelligence truism that even the best intelligence collection has no impact if cannot get to an analyst who can exploit and then disseminate it to the right decision-maker in a timely and usable form. This dilemma was demonstrated most acutely during Rolling Thunder, which featured rules-of-engagement requiring the Joint Staff at the Pentagon to approve strikes, meaning that wet film of targets like Surface-to-Air Missile (SAM) sites would have to be flown back to the carrier, recovered from the plane, exploited by imagery analysts, transmitted to Washington, and then approved as targets. 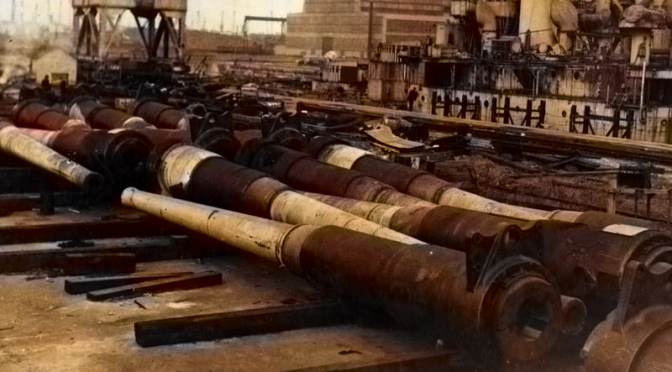 This lumbering process often allowed the enemy to move their SAM batteries well before an attack was mounted. In this instance the combination of technological limitations and cumbersome command-and-control processes limited the effectiveness of U.S. airpower. It also serves as a reminder for how the current reliance on wireless communications presents vulnerabilities that can be exploited by savvy adversaries that challenge U.S. use of the electromagnetic spectrum by degrading dissemination of intelligence from the analyst to the consumer. The employment of manned airborne reconnaissance platforms from even before the start of the war demonstrates the desire for better intelligence by both commanders in theater and national leaders during Vietnam, with carrier-based aircraft conducting what is now called Intelligence, Surveillance, and Reconnaissance (ISR) missions being suffering casualties over Laos as early as June 1964. 32 planes from the Navy’s photo-reconnaissance squadrons were eventually shot down during war, with seven pilots killed and five captured. These comparatively heavy losses are possibly the biggest human difference between ISR in Vietnam and the current set of wars prosecuted by the U.S. in the twenty-first century. The extreme risks that North Vietnam’s advanced Soviet air defense network posed to aviators flying manned reconnaissance platforms then contrasts greatly with the virtually threat-free environment that today’s aerial reconnaissance platforms enjoy as they operate with impunity in the skies above places like Iraq and Afghanistan. Just like today, signals intelligence (SIGINT) can be collected both in the air and afloat, with support during Vietnam from Naval Security Group cryptologists embarked in Navy ships off the coast, and airborne SIGINT collection conducted from P-3 Orion Maritime Patrol and Reconnaissance Aircraft during Operation Market Time. Navy collectors of Human Intelligence (HUMINT) in Vietnam included Naval Intelligence Liaison Officers (NILO) serving as part of Naval Intelligence Field Organization (NIFO) in Vietnam’s coastal and riverine zones. Perhaps the most impressive HUMINT success took place in 1969 when Navy collection was able to prove that North Vietnam was moving weapons and personnel into the South via Cambodia. This was a victory against both the enemy as well as the national intelligence bureaucracy. Previous technical collection had failed to prove the existence of a Cambodian transshipment node, and strongly-held assessments by CIA, DIA, and the State Department had rejected suspicions that support to North Vietnamese and Viet Cong was being funneled through Cambodia. Perhaps some of the most insightful observations made in Knowing the Enemy is when it recounts how the desire for better intelligence on the intentions of the North Vietnamese, Chinese, and Soviet rivals of the U.S. ended up driving both military operations and political events, instead of the reverse. Although the U.S. had been involved in the fight in Southeast Asia since the French had been forced out of its former Indochinese colony in the mid-1950s, the main trigger for the “official” start of the war was actually caused by the push for more aggressive intelligence collection. By the early sixties, U.S. Navy destroyers were regularly conducting intelligence collection missions called “DESOTO patrols,” typically off the coast but outside the territorial waters of the Soviet Union, China, North Korea, and North Vietnam. By 1964 U.S. leaders were pushing for more aggressive DESOTO patrols in order to support South Vietnam’s “Operation 34A” commando raids against North Vietnamese coastal targets. Admiral Harry D. Felt, then serving as Commander in Chief, Pacific (CINCPAC), stated that the “lack of adequate intelligence is a prime factor in the failure of maritime operations,” concluding that Operation 34A needed better U.S. Navy afloat collection to be successful. Knowing the Enemy highlights heroes such as Jack Graf, a decorated NILO who, after being shot down during his second tour in Vietnam, escaped from captivity but ultimately went missing; Lieutenant Charles F. Klusmann, a reconnaissance pilot who was shot down over Laos in 1964 but was able to escape; and Captain Earl F. “Rex” Rectanus, the Intelligence Officer for Naval Forces Vietnam (NAVFORV) who stood up to CIA and DIA in 1969, proving that enemy forces were being resupplied via Cambodia. 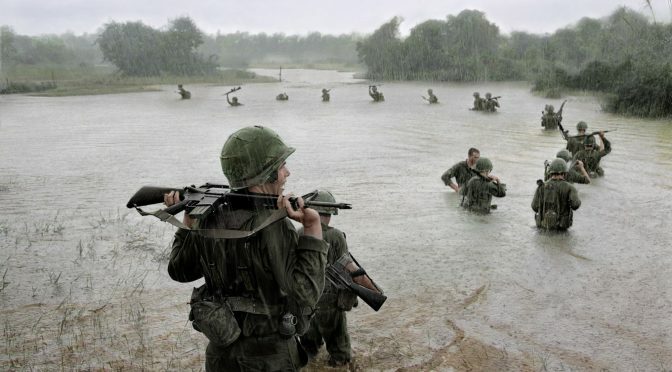 It also includes sections discussing more prosaic challenges like those faced by cryptologists located ashore at bases like Danang who underwent frequent rocket attacks from Viet Cong rebels. Knowing the Enemy provides a rich resource for those interested in U.S. Naval intelligence efforts in Vietnam, covering the war both chronologically and thematically in terms of how intelligence supported Navy operations off the coast, in the air, on the ground, and in the rivers of southeast Asia. It can be downloaded for free from the Naval History and Heritage Command’ website. Lieutenant Commander Mark Munson is a naval officer assigned to Coastal Riverine Group TWO. The views expressed are solely those of the author and do not reflect the official viewpoints or policies of the Department of Defense or the U.S. Government. 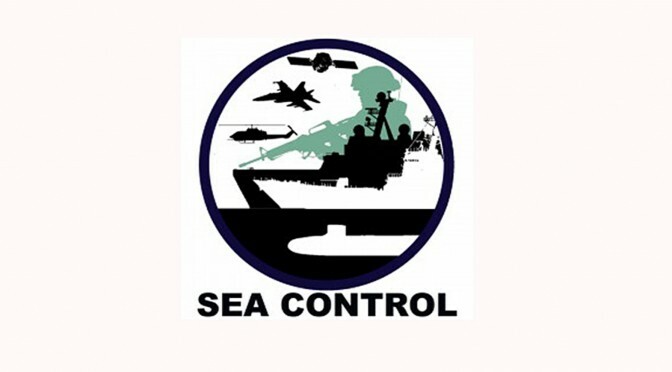 Join us for the latest episode of Sea Control for a conversation with Bill Harlow, an author and former intelligence community spokesman, about his work in strategic communications in the armed forces. He talks about the public affairs career track in the military, his experience at all levels of government, and how that experience informs the civilian work he does today. A transcript of the interview between Bill Harlow (BH) and Matthew Merighi (MM) is below. The transcript has been edited for clarity. Special thanks to Associate Producer Cris Lee for producing this episode and writing the transcription. MM: Now, as is Sea Control tradition, please introduce yourself. Tell us a little bit about your professional background, what you’re up to now, and how you got from where you started in your career to where you are at the moment. BH: Well, I like to think of myself as a communications professional. I started out in the Navy, got a commission through ROTC from Villanova. And spent 25 fascinating years in the Navy, most of that as a public affairs professional. I had a number of very interesting tours while on active duty, including four years at the White House Press Office, and duty at the Pentagon many times in various spokesman positions. This included Chief Spokesman for the secretary of the Navy and retired as a Navy Captain in 1997, and went to work as chief spokesman for a secret organization. Sounds like it should be a pretty easy job. Then I was the spokesman for the CIA for 7 years, from 1997 to 2004. I left that job and did a couple things, one was writing and helping various people, mostly former CIA officials, write their memoirs or books. I do that under my Bill Harlow communications hat. Then I also started a company called 15 Seconds, 15-seconds.com, with Fred Francis, a former NBC news correspondent. We do crisis communications and media training, and tell clients how to approach dealing with the media from the dual perspective of Fred who spent 40 years in network news and my perspective of spending almost that much time as a government spokesman, so it provides a unique perspective to people about how to deal with the media in the current environment. MM: Well, that’s a very broad and diverse set of career experiences so what we’ll do is start from the beginning. As you can imagine, as our listeners already know, most of the people we have come through military backgrounds on Sea Control end up talking about more kinetic topics and have line officer backgrounds but you ended up in public affairs. What made you want to go down the public affairs route and how did you end up getting involved in that world? BH: Well, I always had an interest in communications and media relations and those kind of things, but I owed the Navy four years of service for my ROTC scholarship and fortunately after a couple quicks and takes I ended up aboard USS Midway as the collateral duty public affairs officer. I got on board in Alameda and about three days later the ship got underway for Japan for a cruise that lasted a couple generations, but I was fortunate enough to be on board when the Midway went to Yokosuka for the first time. And while on board I was able to run the ship’s newspaper, the closed-circuit radio TV. It also involved dealing with crises that we had on board, things like that, while also standing bridge watches from time to time. And although I eventually qualified as an Officer of the Deck underway on the Midway, I was having more fun doing the communicating part of it than driving the ship. So, at the end of my tour there I applied for conversion to the public affairs designator within the Navy. It’s a very small community within the Navy, Public Affairs specialists who do that solely for the rest of their careers, and I was fortunate enough to be selected. When I went ashore from the Midway, I was able to build on what I learned in the fleet to help the story of the Navy for the next twenty-plus years. MM: I want to ask a more general question in terms of what then is the traditional glide path and the traditional trajectory for a person that is doing public affairs in either the Navy or the military services? What kind of assignments do you normally end up getting, what are the standard kind of cycles that you go through to get into those positions, and how exactly does a public affairs career end up unfolding? BH: It varies widely and it certainly varies more widely when you talk about the different services. The Navy I think has the best track record of training and deploying their spokespeople. They give them a lot of responsibility early on, which is typical of the Navy in general as you know. And they tend to put their spokespeople in areas of fleet concentration, whether its Norfolk or San Diego or whatever. Or places where there’s lots of communications opportunities like the Pentagon and again there’s only a small number of people. When I was in less than two hundred, total. The seniormost person was usually a one star, and then on down to the junior-most person, they might be a JG or a LT. And so they’re spread pretty thinly but you get an opportunity to deal with both media relations and with the press, along with internal relations communicating within the Navy whether it’s through closed-circuit TV or through other broadcasts or internet platforms now. It also includes community relations and dealing with the public, trying to get the public to understand what the Navy does and why it does it and try to build support that can be anything from working with the bands or with the Blue Angels, to all manner of things. So those are the kind of jobs that you end up getting within the public affairs community. MM: You had some pretty high profile and high visibility positions. So, let’s talk a little bit about your time at the White House. I’m looking at your bio and seeing the years. You were there right during the transition between President Reagan and President Herbert Walker Bush, which was obviously an interesting time for national politics and international affairs with the collapse of the Soviet Union, the establishment of the new world order, complete redefinition of the world as we knew it. Which means that as things are changing quickly, I’m sure it was very, to put it mildly, interesting to say nothing of difficult to keep abreast of those changes and communicate what the White House was doing and what the world was becoming. So, tell us a little bit about what your time was like in the White House, particularly the transitions between the two presidencies and the transition in world order. BH: Yeah, it was a fascinating time to be there. I guess it’s probably any time that the White House is fascinating, but it certainly seemed to be that I was fortunate at that particular time and it wasn’t meant to be as long as it turned out to be. At the end of the Reagan administration there was a vacancy at the White House press office in the part that handled national security. They reorganized several times back and forth, but that particular spot would be assigned to the National Security Council staff, but at the time we were considered White House staff. And there was a vacancy at the end of the Reagan administration and there weren’t any civilians beating down the door to take the job because there were only a few months left in the administration. So people didn’t want to leave a paying job to go there. So, people at the White House thought well maybe we can get a military guy to fill in for the final nine months of the Reagan administration. And they called over to the senior spokesman for the Pentagon and they asked if he knew anybody that would fit the bill, and at the time I was the senior military assistant to the assistant secretary of defense for public affairs and he asked me for a recommendation and I said, “How about me?” And he kindly said, “Sure go over and interview,” and I went over and interviewed. I was fortunate enough to be selected for what I thought was going to be a nine-month job. But then when President George Herbert Walker Bush won election, he asked the Presidential Press Secretary Marlin Fitzwater under President Reagan to stick around and keep that same job in the new administration and Marlin was kind enough to ask me if I would like to stay for a little bit longer. And I said, “heck yes.” So I took what was a nine-month temporary assignment and milked it for about four years. It was a remarkable time to be there. President Reagan was a fascinating, wonderful guy to be around. You knew you were in the presence of somebody who was really powerful but also like your favorite uncle. You couldn’t help but like the guy if you were around him a little bit. He was truly a great communicator and he spent a lot of time working on his communications. And so, for a public affairs guy, that was a wonderful thing to observe and to play a small part in. I was there. And toward the end of his administration when he went to Moscow, for the summit meeting and things like that, I traveled with the president a little bit. It just was was a fascinating time. Then the Vice President George Herbert Walker Bush becomes president, and it was a remarkable period in history. The fall of the Berlin Wall, the first Gulf War, the Soviet Union coming apart. And again, I was privileged to have been able to travel with him around the world, to a number of events and to be there taking part in figuring out how do we deal with these crises and how do you respond to a situation like the Berlin Wall coming down. I think President Bush doesn’t get nearly enough credit for the way he handled all those things masterfully. He could’ve said or done things that would’ve triggered a negative response from the Soviet Union, but he handled it just perfectly and in a way which allowed the Soviet Union to take itself apart without taking down large portions of the West with them. So, it was a wonderful opportunity, working at the White House is of course a privilege. One thing I would say is different about working in the White House and working in the military is that almost everyone at the White House understood the importance of communications. And so, you never had a problem getting the attention of some senior official to get them to give you information that you could use to respond to the media, to talk to them and think through the implications of how the reactions would play out in the media. Sometimes in the military, you run into senior officials who think “my job is to be a warfighter and that’s all I care about,” and that “The public doesn’t have to know anything about what we’re doing and therefore you press guys stay out of the way.” That was not the situation in the White House for they understood by the very nature of their jobs that they had to communicate effectively in order to do a good job for the administration and for the country. MM: And so… when you’re within the White House versus in the military there’s a difference between how the senior leaders view the need for communications. What about the battle rhythm, sort of the day-to-day work. Was it fundamentally the same between those two organizations even though the leadership put a different emphasis on strategic communications, or is the nature of doing public affairs the same regardless of whether you’re on the civilian White House side or the more military DoD side? BH: I think it’s close to the same, I brought with me sort of a military ethic when I got to the White House. I made a point of getting in an hour ahead of my boss, which is a typical military thing when you’re an aide or a military assistant or something like that. And just immersing myself with the information to try to stay ahead of the game because there was so much information coming in since there are so many things you need to anticipate and deal with. And like in any organization, you just never know what’s going to come at you, there’s so many possibilities that you need to stay on top of things. The last thing you want at the White House or at any senior military command is to be surprised by actions that there’s any way to know of. You want to stay ahead of the curve but it was challenging, and it’s even more so today given the plethora of media outlets that are there to deal with so it must be even harder to stay ahead of the game. MM: So that what it’s like on the civilian or the government civilian side and on the military side. So let’s talk about the third leg of that stool which is secret organizations. So, you went to work for the CIA in 1997? BH: Yeah, it was certainly challenging. And I thought going into it I would have a little bit of a leg up on it because I had worked with the military and from time to time worked with the Navy submarine community, for example, which is notably tight-lipped and with the special warfare communities and things like that. CIA takes it obviously to a completely different level. And there are a large number of people within the organization who will forever think that the only response to any question should be “no comment.” And then they would be just as happy if the press job didn’t exist. But my argument and the argument which my boss Director George Tenet fully endorsed was that the agency has a responsibility to talk about what it can so that in those occasions when it must be secret, it has some credibility. When you say everything in the world is classified, everything is to be responded with “no comment,” but then you have no standing if the media come to you and they haven’t learned something secretive and you ask them “please don’t report that” because it would do damage to national security. You have no standing if you have been telling the same thing all along for every simple question that they might ask. It’s also an opportunity, because of the nature of the organization, there are things that the intelligence community does that can be talked about. There’s analysis they do that is quite valuable to the public and the private sector, there are actions taken that can be spoken about and if you put some deposits in the credibility bag, they will be able to describe a few of the success against the inevitable stories that get out there about the failures the intelligence community or about the other difficult enemies you run into. You’ve got more ability to offset that if you play the game. If you totally stiff the media, totally refuse to respond to any question, when stuff goes badly, and it will, inevitably you’ve got little leg to stand on when they try to put it in perspective. MM: So, let’s talk then about some of the specific events that happened while you were at the CIA because you were there for a number of years and I’d say the two that sort of pop up are 9/11 and the prosecution of the Iraq War. So, I was wondering if you could walk through then some of the specifics that you actually can talk about in your role. What it was like to be there during that tumultuous time and that very difficult time for our country? So, there was a tremendous feeling of pressure at the time and then when 9/11 happened. I was at the CIA headquarters that morning and we were in a senior staff meeting and one of the watch officers came in to the director’s conference room and said a plane has just hit the World Trade Center. And while many people will say their initial reaction was “it’s probably a small plane that got lost or something,” I think our reaction was generally was it could well be al-Qaida and I went back to my office and saw the second plane and then certainly knew instantly that it was. Then there was the tremendous outpouring and support where the entire country came together to try to band together against this fight. And the wonderful work that was done by the agency and special warfare community in going into Afghanistan after a couple weeks of 9/11 and essentially routing the Taliban and putting al-Qaida on the run was a very dramatic period in the country’s history. And then what inevitably happens after a crisis like that, the first reaction is that people pull together and work together and the second reaction is that people start pointing fingers. “Why didn’t somebody tell us? Why didn’t you stop this? Why didn’t you do whatever it is in retrospect what should’ve been done?” And after the crisis whether it’s that one or whether its any other one you could name, it’s very easy to go back and look at things that might have been done, should have been done. You now have the complete picture and you go back and find the pieces of the puzzles that were missing. At the time when you’re in the run-up to a crisis, the cliché is that it’s like having a jigsaw puzzle without the box top, or worse than that is a jigsaw puzzle without the box top and thousands of pieces of other jigsaw puzzles mixed in among them that look like they would it but really don’t fit. So, after the fact, you know precisely what to look for and you can find a dozen pieces you can put them together and understand what may have happened and what might have been missed. In the lead up, it’s a different picture. So that was 9/11 and the aftermath to it involved a tremendous work of effort and focus at the agency. And I was privileged to be in there and help tell as much of that story as we could at the time and help try to explain the things that we couldn’t answer, and trying to explain why we couldn’t answer the question. That whole atmosphere played into the next one that you mentioned, the run up to the Iraq War. You can’t overstate how much impact of 9/11 had on the thinking within the administration about dealing with the potential threat of Iraq. And there were a couple mainstream ideas that touched on things that I was able to deal with at the time, one was the terrorism threat and there were a lot people who were connecting Iraq to al-Qaida, inappropriately we thought. They were over-stressing, this is outside the intelligence community, over-stressing the potential connection between Saddam Hussein and al-Qaida. And I spent a lot of my time, to the extent that I could, factually dealing with that, trying to knock down the notion that there was some direct link between Saddam Hussein and Al-Qaida. Things like that. And then there was the WMD portion and as Paul Wolfowitz famously said at one point, “That was the one thing that everyone could agree on.” This includes every intelligence service around the country, even Saddam’s, I would bet you. Every pundit for the most part was pretty well convinced that Saddam had some fashion of weapons of mass destruction. Turned out that it was nowhere near as far along as feared. And you can write books, and I’ve help write a couple, thinking in to a great detail about how did it happen, how it could’ve happened. But it was a tremendously complex period in the country’s life. And there was a feeling of “we don’t want to get this one wrong. If we get this one wrong and we underestimated it, the results could be catastrophic.” You could argue though we got it wrong in the other direction, and we certainly did, but it was a difficult period and the life of the intelligence community in the country’s history. MM: And then not too long after that, you ended up retiring from your role and then taking that experience to the ventures that you are working on now. So, the PR firm, Bill Harlow Communications, and also 15 Seconds that you mentioned earlier that you co-founded with Fred Francis from NBC. So, what was that transition like, to go from what must have been the most difficult part of your career dealing with 9/11 and the lead up to the Iraq War and the immediate aftermath, into the private sector just all of a sudden. Was it a difficult transition, was it hard to learn the new tricks and tips and things that you have to figure out? Or was the transition relatively smooth? What kind of things did you learn what things in your previous career helped you find a new one? BH: Yeah, well backing up a little bit, I had actually retired from the Navy before I took the job at the CIA. So, I had been out of the Navy for a while, and although I left the Navy on a Friday and started on Monday at the CIA, the only difference was showing up in civilian clothes. But there wasn’t much difference between those 25 years in the Navy and seven years at the CIA. Then all of a sudden, I left the CIA. Frankly after 33 years of fairly intense service, I was kind of exhausted, so I welcomed the opportunity to not show up at work at 5:30 or 6 in the morning every day, and stay until 7 or 8 at night. MM: And so with all of those things that ended up happening to you, how much of that did you say did you build intentionally? How much happened by luck? BH: I think about 90 percent of life is luck. You just keep showing up to the work and doing the best you can and networking at the extent that you can. I never planned to spokesman for the CIA. In fact, when I retired from the Navy, the one thing I didn’t want to do was go back to work for the government. At the time you had to give up most of your retired pay if you went back to work as a civil servant and that made no sense for me to do that at all so when the guy who was spokesman for CIA was leaving at the time I was shopping around for a job, and I knew him from the Pentagon in the past, he asked me if I wanted to go over for an interview for his job. And I had no intention of getting that job, I thought it might be good practice to interview over there and then when I went out to the private sector I’d have more practice with job interviews. Because usually in the military you don’t do job interviews, that’s not really the way you get assignments. So, I went over there thinking I would work my way up the bureaucracy with people and I’d practice my interview skills. Well, the first guy in the interview was George Tenet. And I just hit it off with the guy, just was totally impressed with him, and I thought, “you know it might be fun to work with him for a year or two and then go off and into the private sector.” Well, a year or two turned into seven years and I never planned it that way, but it turned out to be a wonderful thing. I didn’t anticipate that so many historic things would happen when they did and I helped convince him that he ought to tell his story, and then he asked me to help me do it and then one thing led to another. I think that if he tried to plan it then that never would have happened. When I went to the White House and I was only going there for nine months, it was a temporary job and I had no way of knowing that President Bush would be elected or that he would ask Marlin Fitzwater to stick around or that Marlin would ask me to stick around. So, it was just the luck of the draw and I’ve been very lucky. MM: So then let’s talk a little bit more about the crisis communication aspect, since you’ve lived through crises. I imagine your firm 15 Seconds has something to do with crisis communications so if you could walk us through why did you founded that particular organization company and what is it like to handle crisis communications, how do you do it, and how is it different from non-crisis public relations. BH: We call the company 15 Seconds, it’s sort of a play on Andy Warhol’s in the future everybody will be famous for 15 minutes. He said that 40 years ago and things have sped up so much that you only get 15 seconds. And our theory is that in a crisis situation you’ve got to respond enormously fast in order to get ahead of the curve and in order to establish what you’ll want to say because everybody else is going to be out there: all your competitors, all of the people who are your opponents, all your pundits, all the people who are just looking to get some notoriety will be out there talking about your issue whether you want to be or not. So, the difference between crisis communications and normal public relations, is that you don’t really get a vote on whether you play or not. If you’re at Equifax and you’ve just been hacked and lost the details of 143 million people, you got to get out there and talk about it whether you like it or not because otherwise your company’s going to be decimated. In normal situations, people in organizations can pick and choose, “Do I want to engage, do I not want to engage, do I want to put out a spokesman, do I want to just respond in a written response, can I just let this go and keep your head down and maybe we’ll do fine?” But in a crisis situation, you’ve got to play, because otherwise you’re just going to get your head handed to you because everybody else is going to be damning you, putting out information which may or may not be true, and redefining your organization. So, it’s a challenge and we think that organizations who only think about crisis communications after the crisis hits have put themselves in a very difficult position. Because if they haven’t thought through how you would respond to a crisis, if you haven’t thought through who would be your spokesman on it, if you haven’t thought through mechanisms on how we get information out, “do I put out a press release, do I put out a press conference, do I know how to hold a press conference, do I know where to hold it?” If you haven’t thought through it in advance, the chances of it coming out perfectly well aren’t so good. MM: Let’s talk also then about the part of your career that you alluded to when you were talking about helping write At the Center of the Storm with George Tenet, his memoirs. You’ve written a number of other books too, one with Michael Morell and a number of others, primarily about al-Qaida and the war on terrorism. How did you end up deciding to pursue that business model of helping others write their stories and how is that different from other kinds of writing that you have to do either in your private sector or in your public-sector PR roles? BH: Well, the first book I wrote was actually a novel that I wrote towards the end of my time in the navy, called Circle William. And it was about two brothers, one who was a White House press secretary, obviously based on my experience, and the other was a captain of an Arleigh Burke destroyer, and that was actually based on a friend of mine and yours, Jim Stavridis. I had worked with him within the secretary of the navy staff, and when he was a young commander. So using those two worlds of the Navy and the White House press operation, I worked on this novel which was well-received. I wasn’t able to promote it that much because by the time it came out I was at the CIA and I had a full-time job but it was an interesting experience as simply getting published is both rewarding and challenging. So, I had been through the process. Then at the end of my time at sea, I had been published once at least and I knew the mechanics of doing it. I had this belief that George Tenet had a terrific story to tell and I wanted to help him tell it and it came out very well. His book opened number one in the New York best seller list, you can’t complain about that. But I didn’t intend to get into that line of work, but having done that successfully with Tenet, other book opportunities presented themselves to me. Fortunately for every book that I have coauthored, the people I worked with were first friends before coauthors, so Michael Morell and then Jose Rodriguez, and Jim Mitchell is the most recent one. So, these are people I certainly knew of and in most cases, knew well and were friendly with. And that made the process a lot easier to help them tell their stories. Of course, this is their story, it’s not my story, but they’re also all very busy people and the extent that I could help them convey what they want to convey, about their lessons learned from their time and any government, it’s been a worthwhile and rewarding experience. MM: Since you’ve done this a number of times already, do you have any writing advice for our people out in our audience, who I imagine most are more used to say, writing articles for CIMSEC or doing background papers in their government jobs? Any writing advice that you gleaned from both your time in uniform, and as a government civilian, and as a writer? BH: One bit of advice would be to keep writing, it’s something that gets better, and it gets easier the more you do it. And to the extent that if you let that skill atrophy, it takes a while to get back in the saddle. And don’t let the perfect be the enemy of the good. Just keep writing and writing. The other bit of advice is, to paraphrase Elmore Leonard, when you’re writing, leave out the parts that people are going to skip anyway. I see a lot of people writing things and it is way too long. I get a lot of former CIA and military people who want to write novels or non-fiction books who come to me and ask for some advice, and what I tend to see is that they write too much. People who write books which if they ever got published would kill thousands of trees. It’s much better to leave people wanting more than to have them wanting less. So, to the extent that you write stuff, if you could keep it punchy, memorable, short, it’s to your advantage. Other times, where you need to write long, the Tenet book, At the Center of the Storm, was a pretty hefty sized book, but he had so much material to cover and so many historical things that justified it. But for most of us, writing material to keep it punchy and short is much better. MM: Excellent. Now since we’ve reached the end of our episode, let’s conclude the same way we conclude every episode. Especially since you’ve worked in communications, you likely know this question well, what kind of things are you reading nowadays, and for the people out in the audience who are either interested more in the public relations and public affairs world or just interested in what’s on your mind, what things would you recommend that they pick up? BH: I don’t read a whole lot about the public affairs world, so I may let down your readers on that regard. I tend to find myself reading more nonfiction historical stuff, that’s what interests me and that, when I break away from my daily routine, is what I tend to focus on. One book I’m reading right now is Churchill and Orwell, by Tom Ricks, terrific book, I’m only about halfway through it but I would never have thought to have combine those two people in a single book, but Tom is doing a great job, has done a great job telling two stories of two quite remarkable men during a critical period in the world’s history. Tom is somebody I knew, he was a correspondent from the Wall Street Journal and he’s someone who has given me writing advice early on, so I certainly respect everything that he does. I also read stuff that is sort of on the periphery of things that I have done or there’s a number of books by former CIA officials or people who are interested in CIA things. There’s one coming out from the Naval Institute Press called Operation Blackmail about Betty Macintosh, who was a woman in the OSS in World War II in the Pacific, who led a remarkable career. And that’s a book I read in galley form. It’s well worth a read by people who read your blog and who are interested in World War II history and espionage. It’s quite a remarkable book. MM: I’ll definitely have to pick it up I’m sure. Thank you again Bill for taking the time today. Really appreciate you appearing on Sea Control and best of luck in all of your ventures, writing, and communications and otherwise. BH: Thank you very much, it’s been my pleasure. Bill Harlow is the President of Bill Harlow Communications and Co-Founder of 15-Seconds.com. He is the author of Circle William and has co-authored a number of books, including At the Center of the Storm with George Tenet and The Great War of Our Time with Michael Morell. Matthew Merighi is Senior Producer for Sea Control, CEO of Blue Water Metrics, and Assistant Director for Maritime Studies at Tufts University’s Fletcher School. Though it often goes unrecognized, history shows publicly available information (PAI) consistently plays an integral part in the development of the intelligence picture. With the advent of the Information Age, a rapid evolution of technological innovations democratized and decentralized information, creating a digital universe and a surfeit of open source intelligence, or OSINT. In the past decade alone, the world produced more information than it had in the rest of human history. This diffusion of information holds significant promise for the Naval Intelligence community, whose own rich history is replete with examples of OSINT being an integral part of the analytic picture. From the Age of Sail to the Global War on Terror and beyond, OSINT has proven valuable across the range of maritime operations. Despite this history, Naval Intelligence treats OSINT as an oxymoron, relying on an analytic culture biased against unclassified data. This bias is a mistake. 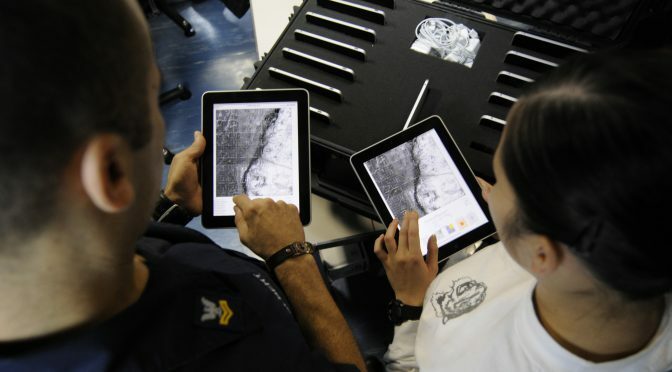 To maintain maritime superiority the Naval Intelligence community needs to orient its collection and analysis toward a truly all-source effort and harness the full potential of OSINT as an intelligence discipline on par with the classified disciplines or it risks ceding the advantage to adversaries and competitors. Since the end of the Cold War, the democratization and decentralization of the information landscape resulted in a sharp rise in information quantities, altering the intelligence community. As “publicly available information“ that anyone can lawfully obtain proliferated, the advancements of the Information Age affected OSINT more than any other intelligence discipline. The Internet and cellular technology means individuals enjoy unprecedented access to information, particularly in otherwise underdeveloped regions. Meanwhile, social media makes individuals active participants in the production of information. 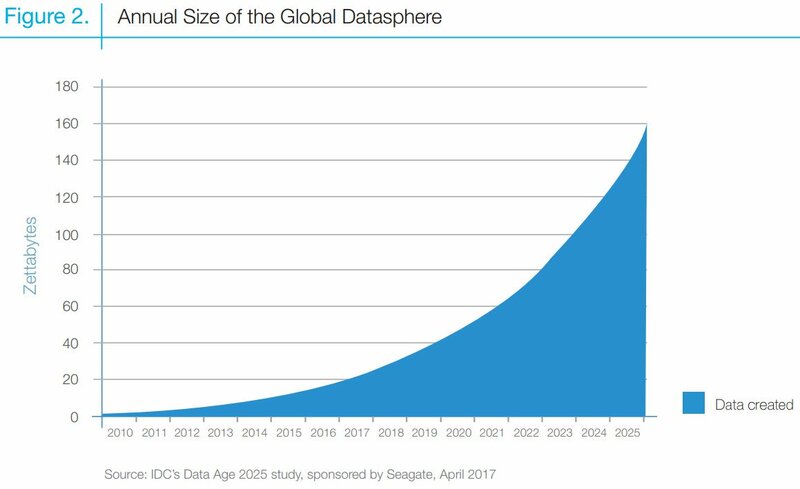 Studies estimate that this digital universe is doubling in size every two years. Globally, an estimated 50 percent of the population has Internet connectivity; 34 percent are active on social media; and there are enough mobile subscriptions that every person on earth could have one. Gone are the halcyon days where OSINT was local papers, television, and radio broadcasts. With each passing year, OSINT expands further past those conventional means and now includes information from the deep web, commercial imagery, technical data, social media, and gray literature with more sources inevitably to follow. The changes to the information environment affected more than individuals; government agencies and militaries embrace these information platforms, readily divulging information, pictures, budgets, and material status of platforms to the public to champion causes and promote transparency. It is no wonder some experts estimate that 80-90 percent of intelligence originates from OSINT. There is no reason to think these trends will abate soon. The Naval Intelligence community has been slow to recognize and adapt to these changes in society’s relationship with information. 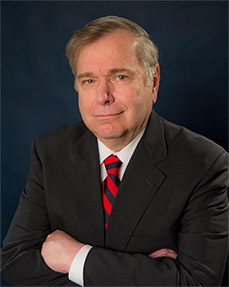 In 1992, speaking at the First International Symposium on Open Source Solutions, Admiral William Studeman discussed the importance of OSINT and the associated challenges that accompanied its acceptance on par with Signals Intelligence (SIGINT), Human Intelligence (HUMINT), and Imagery Intelligence (IMINT). Twenty-five years after Admiral Studeman’s speech, the Naval Intelligence community still treats OSINT at a disadvantage vis-à-vis the established intelligence disciplines, viewing it as unclassified “low-hanging fruit.” This second tier status is shortsighted and history shows it is detrimental to the analytic process. In a world that moves increasingly faster, OSINT holds a competitive advantage over the traditional intelligence disciplines in terms of speed, quantity, and usability. Sensors, signals, and human sources take time to collect and exploit. In addition, classified means tend to be resource constrained—there simply are not enough assets to cover everything everywhere. In contrast, PAI, by its very nature, is everywhere and does not require significant resources to exploit. These strengths are why OSINT is “the outer pieces of a jigsaw puzzle” and why it is useful in framing a problem. This framing allows an analyst to focus on effective use of the technical disciplines, thereby acting as a resource multiplier. Acknowledging these factors underscores the important roles that PAI and the resulting OSINT play in the analytic process. Despite the promise that OSINT holds, the Naval Intelligence community has been slow to adopt it, underutilizing this glut of publicly available information. There is no formal pipeline for OSINT training and there is scant reference to OSINT in doctrine, which underscores an analytic culture that subordinates OSINT to the covert and technical disciplines of HUMINT, SIGINT, IMINT, and Measures and Signals Intelligence (MASINT). Considering the modern information environment, the current treatment of OSINT within the Naval Intelligence community is a mistake. Reliance on the technical disciplines has traditionally come at the detriment of OSINT, but this is unnecessary. Learning how to exploit PAI as an organization necessitates a paradigm shift that begins with training and doctrinal inclusion. This shift needs to occur today. Resource constraints will continue to hamper classified collection methods and as information continues to increase, it will become easier to hide information in plain sight—a real boon for adversaries. The U.S. Navy acknowledged as much in 2013, describing nations that were “simply using the Internet and the commercial global information grid as their own C4ISR system for networking their low-technology military forces.” To buoy this change the Naval Intelligence Community needs to take stock of its history with OSINT. Naval Intelligence history is replete with successful stories of monitoring, filtering, transcribing, translating, and archiving PAI to produce OSINT. Indeed open source maritime intelligence is as old as the U.S. Navy itself. In Nelson’s ‘old lady’: Merchant news as a source of intelligence, Jane Knight details how, in 1796, intelligence derived through the analysis of a merchant woman’s correspondence with her husband proved useful.1 As the story goes, Frances Caffarena, an Englishwoman married to a Genoese merchant, supplied Admiral Jervis and Lord Nelson’s Mediterranean campaign with a steady stream of information gleaned from open sources. These reports filled a critical gap in intelligence, informing the decision-making of both men as they waged war against Napoleonic France and her allies. This episode marks the beginning chapter of a long history of OSINT supporting and defining the maritime intelligence picture. Another integral OSINT lesson from that era was the importance of a distributed network that leverages partner nations’ ability to exploit information with knowledge of local sources and local languages. 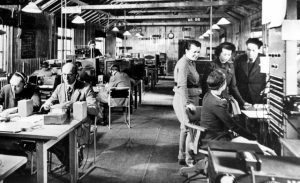 Such cooperation produced significant results during the Second World War as the British Broadcasting Company (BBC) monitored foreign radio broadcasts across many theaters, sharing the information with the United States. This distributed network is not limited to international partners; it has application across the services as well. One enduring example of an OSINT network is the U.S. Army’s Asian Studies Detachment, which has collected and analyzed PAI on Asian topics since 1947. 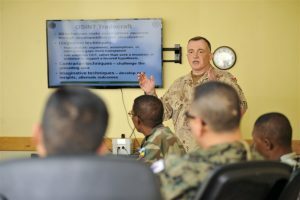 Developed for U.S. Army tactical units throughout the Pacific, the Asian Studies Detachment has relevance for host of consumers throughout the Pacific region. Recently, OSINT has been particularly useful in areas—both functional and geographical—that do not typically use classified assets. The 2010 earthquake in Haiti is a good example of how important OSINT can be to U.S. Navy operations. During OPERATION UNIFIED RESPONSE analysts from United States Southern Command (SOUTHCOM) used social networking sites, blogs, clergy, non-governmental organizations, and the Haitian diaspora to supplement traditional ISR capabilities with firsthand accounts of the situation that focused humanitarian response efforts. This shaped the picture in a way that classified, technical sources could not because of sharing limitations and processing and exploitation timelines. OSINT’s utility is not limited to non-kinetic operations. The Arab Spring and OPERATION ODYSSEY DAWN exemplify OSINT’s effectiveness in providing intelligence during kinetic operations, especially without “boots on the ground” to provide tactical updates. Throughout ODYSSEY DAWN the Joint Task Force J2 derived valuable intelligence from social media sources such as Facebook and Twitter, with NATO specifically acknowledging that Twitter had become a leading source in developing the intelligence picture and assisted analysts in target development. Additionally, during NEO planning in Libya and Egypt, OSINT was a significant factor in answering intelligence requirements for the 26th MEU embarked on the USS Kearsarge. Meanwhile, OPERATION ATALANTA, the European Union Naval Force’s response to Somali piracy, overcame the dearth of intelligence and the resulting lack of situational awareness by working primarily off PAI; in this case, local newspapers. This proved to be a double-edged sword, as local Somali news sources were heavily biased or censored, oftentimes resulting in “corkscrew journalism” where uncorroborated statements, repeated often enough, turned into truths. These operations illustrate how OSINT may sometimes be the most accurate and timely intelligence available to analysts; and in the case of Somalia, underscore the importance of training and corroboration while using OSINT. Despite changes over the years, the communal and commercial nature of PAI proves to be its most pertinent contribution to the intelligence picture. 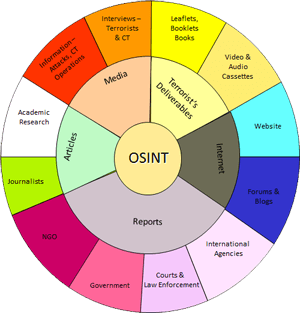 OSINT is different from the other intelligence disciplines by virtue of its accessibility. Unlike national sensors, sources, and satellites, a private individual or company usually owns the production method and dissemination of PAI. More often than not, these individuals and companies derive more benefit from making the information available than they do restricting it. A 2017 Janes IHS article highlighted this relationship, describing how public webcams that overlooked Severomorsk Naval base confirmed the departure of the Russian aircraft carrier Admiral Kuznetsov. This episode also highlights the difficulty in determining the veracity of PAI as these webcams were contradicting what news networks were reporting. In a similar manner, Google Earth offers a great example of how PAI can provide valuable OSINT for analysts. 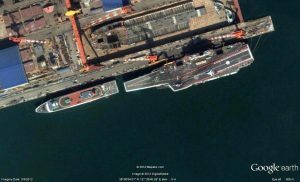 A 2013 TIME magazine article covered how Google Earth imagery provided analysts with a wealth of information as they examined China’s construction of its first indigenous aircraft carrier. In one of the most well-known cases of intelligence failure, the aftermath of Pearl Harbor illustrated just how important OSINT could be in the realm of indications and warnings. As the recently established Foreign Broadcast Information Service (FBIS) was listening to and translating broadcasts from Japan, they noted increasing hostility towards the United States; the attack on Pearl Harbor commenced before the intelligence could yield value. The Intelligence Community re-learned the importance of OSINT six decades later as classified data failed to predict, let alone prevent, the Sept. 11th attacks. In the aftermath of the attacks, it became clear there were open source resources that may have offered insight into the attackers plans. A similar assessment was made after the bombing of the USS Cole a year before.4 In each of these examples, the lack of OSINT was just one of many failures, but it is a failure that the Naval Intelligence community perpetuates and one that is relatively easy to fix. The technological advances of the Information Age are germane to the future of OSINT within the Naval Intelligence enterprise. Across all levels of warfare, PAI represents an opportunity and a challenge to naval intelligence analysts. From the fight against violent extremist organizations (VEOs), which use social media for recruitment and propaganda dissemination, to the understanding of national strategies as world leaders increasingly employ the media to make the case for military operations, OSINT can enable or enfeeble analysis. Irrespective of geography or subject, the Information Age has virtually guaranteed the proliferation of PAI. Every intelligence discipline has limitations and OSINT’s biggest limitations are the volume and veracity of information. Fortunately, technology continually provides tools to assist in overcoming these obstacles. Some are technical and require training, while others are simple and low-tech, merely requiring familiarization and practice; yet others involve incorporating government technology or commercial subscription services. Regardless of their particular details, these tools are all available to assist the analyst in filtering the overwhelming amount of data available today. These technological advancements also indicate that OSINT is rapidly becoming as technical a discipline as SIGINT or IMINT and Naval Intelligence needs to treat it as such. There are processes that assist in categorizing useful information versus distracting and irrelevant information and procedures that help determine reliability and credibility. There are increasingly effective ways to use search parameters to cut through the large swaths of information. The Open Source Indicators (OSI) program is one such initiative. A program run by the Intelligence Advanced Research Projects Activity (IARPA) under the Director of National Intelligence (DNI), OSI aims at automated and continuous analysis of PAI in an effort to predict societal events. Additionally, the proliferation of foreign language media will pose a challenge for analysts, though there are promising tools such as the U.S. Army’s Machine Foreign Language Translation Software (MFLTS), which allows analysts to understand foreign language documents and digital media across a variety of platforms. In a similar vein, initiatives like Defense Advanced Research Projects Agency’s (DARPA’s) Deep Exploration and Filtering of Text (DEFT) program and Natural Language Processing (NLP) technology aim to help analysts collect, collate, and process information. In addition to these Intelligence Community initiatives, there are commercial programs like Google’s Knowledge Graph that hold promise for intelligence analysts. Using a semantic search, a Knowledge Graph query returns results that determine the intent and context of a searched item, allowing an analyst to avoid the irrelevant responses a traditional keyword search returns and establish relationships between people, places, and events. Even the socio-technical aspect of social media lends itself to optimization, with Social Media Intelligence (SOCMINT) now championed, despite privacy concerns, as an emerging intelligence discipline in its own right. Reputable blogs, forums, and chat-rooms – operated by individuals with a strong interest in a subject – act as a form of crowdsourcing where these philes compile large amounts of data for their own interest while simultaneously filling intelligence gaps. Technically savvy and unencumbered by corporate or government constraints, the individual citizen has proven to be a remarkable source of information for analysts. Whether it is pictures on Instagram of their latest work trip to a naval installation or their Facebook comments about government policies, individuals routinely expose important information to the public. Acknowledging OSINTs role in counterintelligence is at the core of the U.S. Navy’s stringent OPSEC program. Whether it is traditional media, social media, or any other element of PAI, the Naval Intelligence community needs to develop the analytic skills to cash-in on this information. Unfortunately, this explosion in information is not without its downside. Concurrent booms of disinformation, misinformation, and propaganda threaten to hamper the analysis of PAI just as social media has become a tool for disseminating fake news. Much as these information distractions present a challenge, they also underscore the importance of all-source analysis. The OSINT landscape has changed dramatically since the days of the Cold War. Despite these changes, the core challenge of open source analysis remains the same — parsing the salient from the trivial — and that takes skill. It is not enough to recognize the utility of OSINT; the Naval Intelligence community must train, equip, and organize around the process of collecting and analyzing PAI. It is time to adhere to the guidance put forth since the 1992 Intelligence Reorganization Act, which acknowledged the importance of “providing timely, objective intelligence, free of bias, based upon all sources available to the U.S. Intelligence Community, public and non-public.” More explicitly, in 1996, the Aspin-Brown Commission concluded, “a greater effort also should be made to harness the vast universe of information now available from open sources.”Again, in 2004, the Intelligence Reform and Terrorism Prevention Act (IRTPA) emphasized the need for the Director of National Intelligence (DNI) to “ensure that the IC [Intelligence Community] makes efficient and effective use of PAI and analysis.” Despite these repeated issuances and a long history that demonstrates the importance of OSINT, the Naval Intelligence community continues to pay scant attention to OSINT relative to other intelligence disciplines. Currently, the Naval Intelligence community has no formal training pipeline to develop open source analysts, no formal guidance on collection methods or best practices, and it receives little direction from Navy doctrine. As such, OSINT within Naval Intelligence resides (unreliably and disparately) at the grassroots level, where intrepid intelligence professionals and the occasional Mobile Training Team (MTT) delve into the realm of open source. This approach is akin to a person who knows just enough information to be dangerous. PAI is going to continue to increase in scope and value, but also difficulty, which is precisely why the Naval Intelligence community needs to develop a formal training pipeline so they can begin addressing the problem from the bottom-up. In the meantime, the Navy can leverage open-source training that exists within the larger Intelligence Community or employ private organizations like Jane’s IHS that offer OSINT training on effective collection methods, monitoring social media, conducting safe and optimized searches, and conducting analysis of PAI. Such training will allow analysts to exploit the full potential of OSINT and move past mere regurgitation of previously reported information. The lack of a formal training pipeline is not the only limitation that undermines the realization of OSINT’s role in the Naval Intelligence community. OSINT is barely mentioned in Naval doctrine, all but ensuring that the training and cultural issues will remain. Moreover, the absence of OSINT in doctrine provokes discord amongst intelligence professionals and creates an environment where commanders default toward a pre-conceived emphasis to classified sources. This is where the Navy can learn a lesson from the other services and the larger intelligence community, which have all made significant steps towards including OSINT in their doctrine. These lessons, borne of years of fighting in Iraq and Afghanistan, lend themselves to adaption by the Navy. For example, both the Marine Corps and Army detail the collection and production of OSINT, considerations to judge reliability and credibility, and reporting and dissemination procedures. Similarly, both DIA and NGA recognize the importance of OSINT and the emerging technologies that support its exploitation. Adding OSINT to doctrine will work in tandem with a formal training pipeline and change the culture from top-down. Together these changes can overcome what is perhaps the greatest barrier that OSINT faces: an analytic cultural that does not afford OSINT the same respect as other disciplines. A 2005 report from the Center for Strategic and International Studies (CSIS) summed up this sentiment, stating “analysts tend to give more weight to a folder stamped ‘SECRET’ than to the latest public broadcast of an Al Qaeda message on Al Jazeera Satellite television network.” Changing the culture will take time and money, but not changing the culture will certainly be more costly. The time is perfect, the officers and sailors joining today are accustomed to social media and the Internet, as are our adversaries. The referenced instances of OSINT’s successes and failures are not exhaustive, but serve as examples of the breadth and depth of OSINT support to the intelligence picture. History shows that OSINT has always been important, but the future indicates that OSINT will play an increasingly critical role in the intelligence picture. The Information Age profoundly altered the way PAI is produced, collected, analyzed, and disseminated, which has led to changes in the quality and quantity of that information. Fortunately, the Information Age has also brought with it a host of tools to address these changes in the information landscape. It is time the Naval Intelligence Community transforms its approach and attitude to OSINT. Disregarding these changes risks a painful reiteration of past lessons where intelligence failures were the result of poor policy, not analysis. LT David M. Andre is a prior enlisted Intelligence Specialist, and has served as an Intelligence Officer onboard the USS ENTERPRISE (CVN 65), an Intelligence and Liaison Officer assigned to AFRICOM, and as N2 for COMDESRON SEVEN in Singapore. He is currently serving as an analyst at STRATCOM’s JFCC-IMD. He can be reached at dma.usn@gmail.com. 1. Jane Knight, “Nelson’s ‘old lady’: Merchant news as a source of intelligence: June to October 1796,” Journal for Maritime Research, Vol. 7, Issue 1, (2005): 88-109, DOI: 10.1080/21533369.2005.9668346. 2. William J. Donovan, “Intelligence: key to Defense” LIFE, 30 Sep 1946. Vol. 21, No. 14; 108-122. 3. Peter Chasseaud and Peter Doyle Grasping, Gallipoli: Terrain, Maps and Failure at the Dardanelles, 1915. (London: Spellmount, 2005): 173-174. 4. Arnaud De Borchgrave, Thomas M. Sanderson, John MacGaffin, Open Source Information: The Missing Dimension of Intelligence: A Report of the CSIS Transnational Threats Project, CSIS Report (2006):3. Between November 1921 and February 1922, representatives from nine nations assembled in Washington, D.C. to discuss security issues in the Asia-Pacific region and naval disarmament.1 The Office of Naval Intelligence (ONI) played a vital role for the American organizers of the conference by collecting information and publishing intelligence products that supported the U.S. negotiators and enabled them to achieve American diplomatic objectives. While the Conference has a poor historical reputation because it failed to prevent a naval arms race leading up to the Second World War, its more modest achievements provide a case study in successful diplomatic intelligence, with ONI’s support to the negotiating effort demonstrating the importance of intelligence expertise in maritime issues. ONI support to the conference shows the continued importance of Open Source and Human intelligence (OSINT and HUMINT, respectively), particularly when enabled by expertise in foreign languages. While much of the information that the U.S. Navy’s attaches in Japan collected was openly available, it would have remains uncollected and unexploited if the Navy had not invested in language training for those officers. Even in a digital age where information is freely available over the internet, OSINT collection may still require a properly trained collector to have physical access to freely available data and media. Finally, ONI’s efforts in support of the conference show the importance of expertise in maritime issues to naval intelligence. Ultimately, the U.S. Navy is the only arm of the U.S. government that will always prioritize intelligence on foreign navies and the global maritime system. While maritime intelligence is not always valued by government leaders and the intelligence community as whole, when a situation arises in which maritime expertise is needed by national decision-makers, they will expect naval intelligence to have the answers they need immediately. The Washington conference may have proved a long-term failure in terms of curtailing the growth of the navies that fought in the Second World War, and a low point in terms of American isolationism and the abandonment of sea power as a national security strategy. For ONI however, it provided an opportunity to apply a variety of intelligence disciplines in support of national diplomatic objectives. Eric Setzekorn, “Open Source Information and the Office of Naval Intelligence in Japan, 1905–1920,” International Journal of Intelligence and CounterIntelligence 27, (2014): 379. Paul Welch Behringer, “‘Forewarned Is Forearmed’: Intelligence, Japan’s Siberian Intervention, and the Washington Conference,” The International History Review 38:3 (2016): 368-369. John Ferris, Issues in British and American Signals Intelligence, 1919-1932 (Fort Meade: NSA Center for Cryptologic History, 2015), 44. Joseph A. Maiolo, “Anglo-Soviet Naval Armaments Diplomacy Before the Second World War,” English Historical Review 123:501 (2008): 352. Douglas Ford, “U.S. 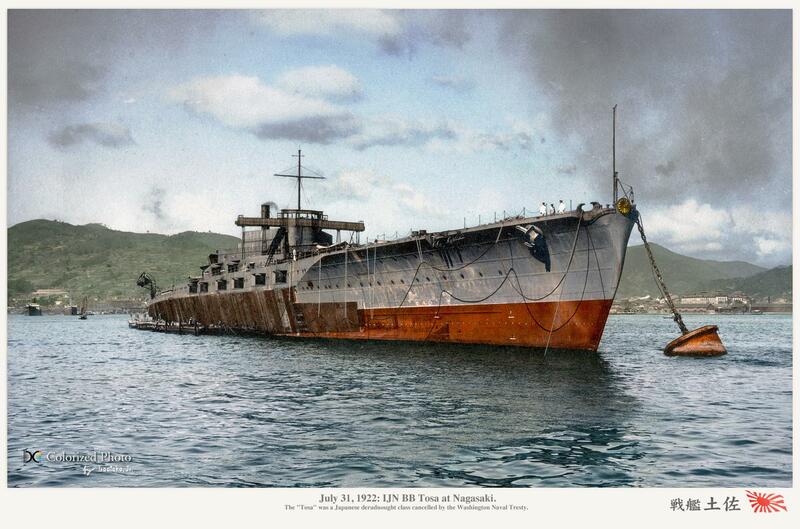 Naval Intelligence and the Imperial Japanese Fleet During the Washington Treaty Era, c. 1922-36,” The Mariner’s Mirror 93:3 (August 2007): 284. Wyman H. Packard, A Century of Naval Intelligence (Washington: Department of the Navy, 1996), 13. Jeffery M. Dorwart, Conflict of Duty: The U.S. Navy’s Intelligence Dilemma, 1919-1945 (Annapolis, MD: Naval Institute Press, 1983), 20. Erik Goldstein, “The Evolution of British Diplomatic Strategy for the Washington Conference,” in The Washington Conference, 1921-22: Naval Rivalry, East Asian Stability and the Road to Pearl Harbor, ed. Erik Goldstein and John Maurer (Ilford: Frank Cass, 1994), 18-19. “The Washington Naval Conference, 1921–1922,” United States Department of State. Michael Krepon, “Naval Treaties,” Arms Control Wonk, accessed 28 July 2017, http://www.armscontrolwonk.com/archive/403364/naval-treaties/. John Kuehn, “The Influence of Naval Arms Limitation on U.S. Naval Innovation During the Interwar Period, 1921-1937” (PhD diss., Kansas State University, 2007), 17-18. “Navy Strategy for Achieving Maritime Dominance: 2013-2017,” 7.